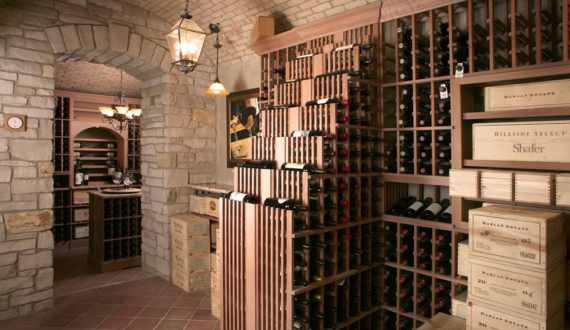 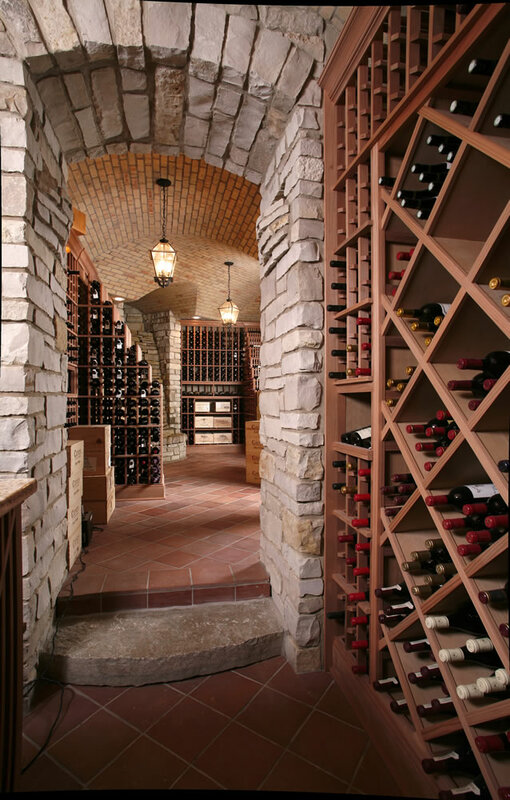 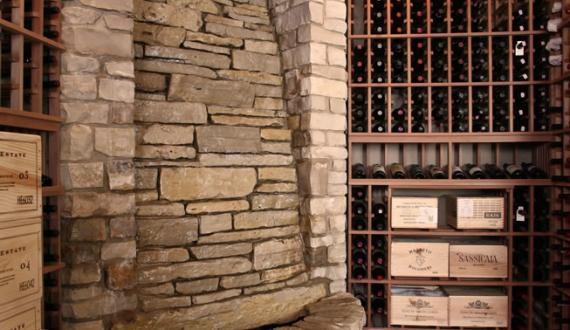 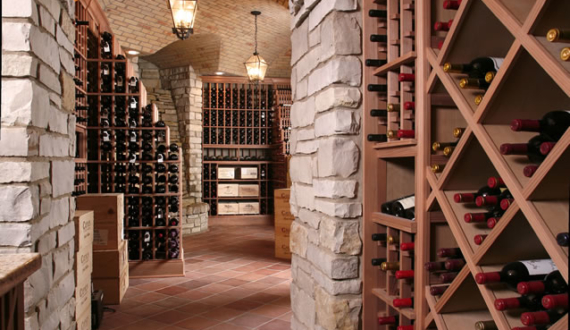 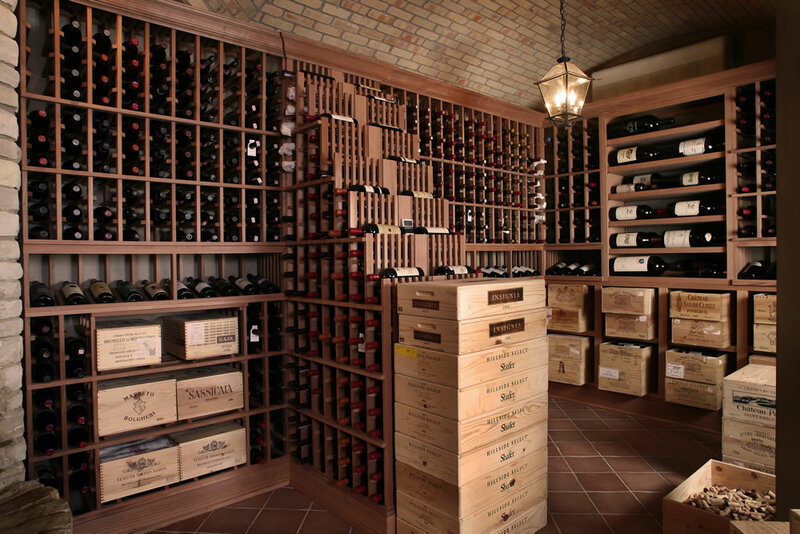 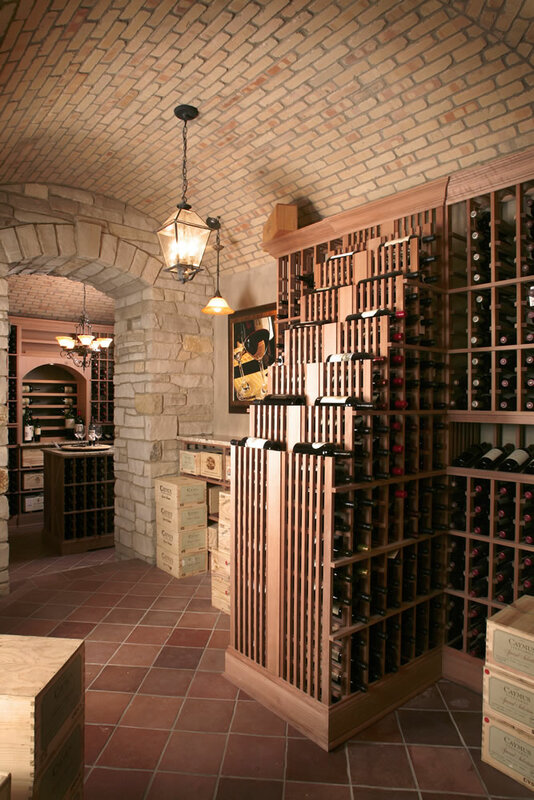 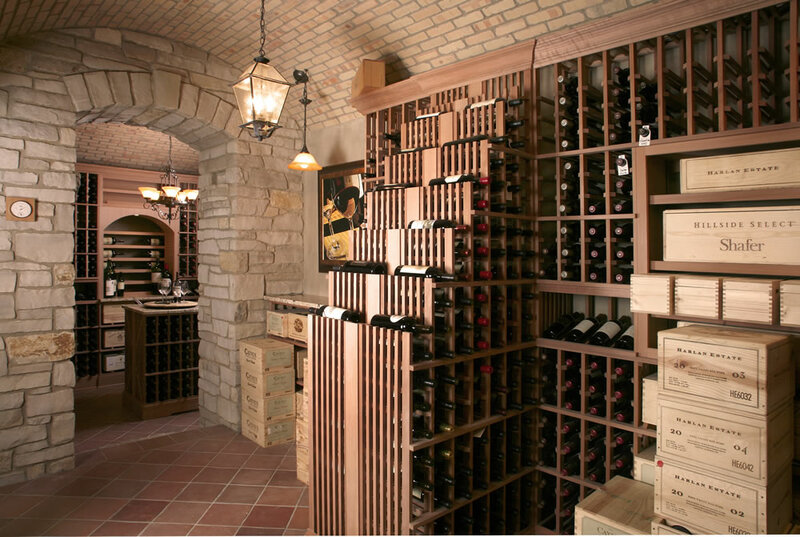 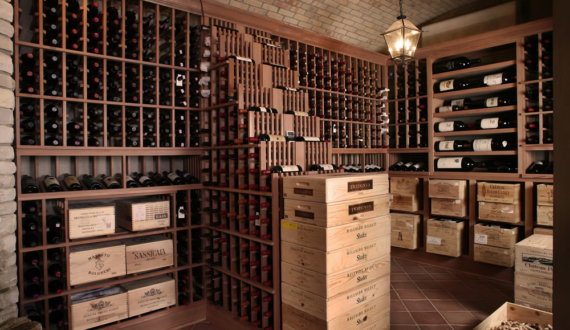 Brick vaulted ceilings, Ohio limestone walls and tile floors reclaimed from a French château, are just a few of the amazing details in this cellar. 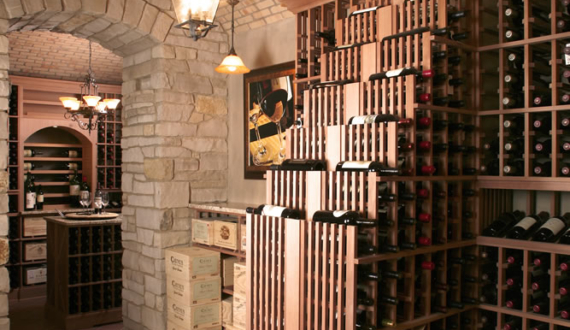 Exit the elevator into the tasting room where the wine sits on racks within sight just through the glass wall. 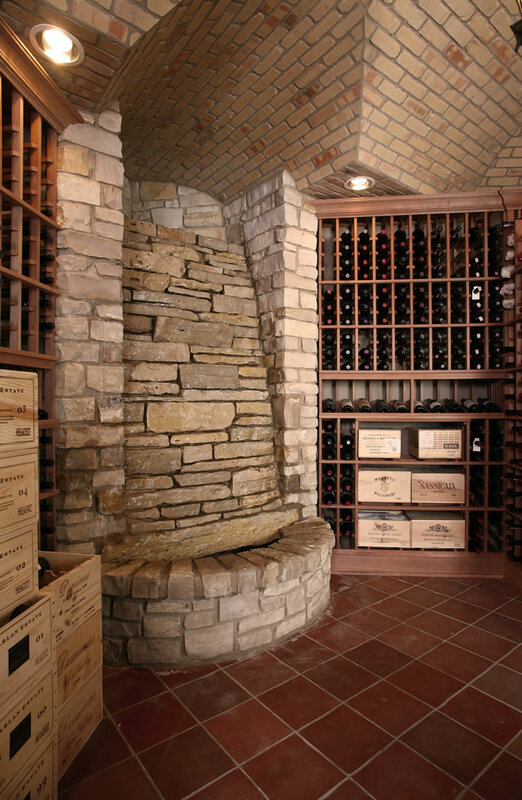 This custom cellar holds 4,000 bottles of wine and includes a live waterfall to boost humidity.